Los Alamos Daily Photo: Raven Sentinel in a Blossoming Cottonwood. Los Alamos means "the cottonwood." 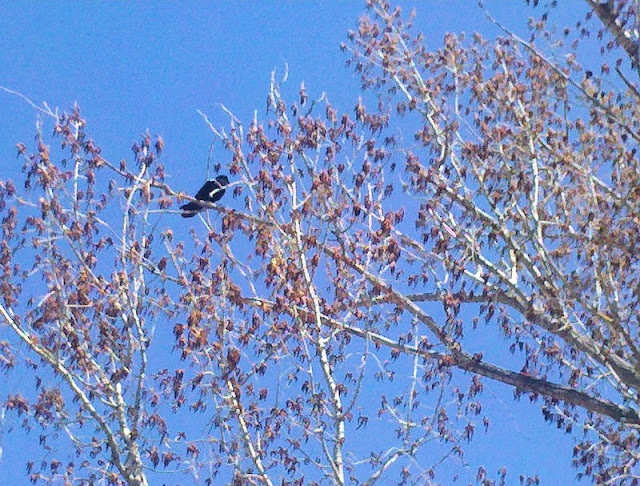 Here a Raven stands guard in a blossoming cottonwood tree. Very pretty! He must have quite a view up there. I am looking at the blossoms! No blossoms in Wisconsin right now. But...the snow is almost gone!